I’ve read only a wee tad about Ancient Egypt and the Late Bronze Age, certainly not enough to be able to really get right into and up to speed in this fascinating book. I’d never even heard of the “Sea Peoples.” But this intriguing tale is about how Egypt’s civilization in the times of of Ramses III was overwhelmed by the “Sea Peoples” which added to other catastrophes of the times resulted in the end of the Bronze Age. Reading the book was both challenging and enlightening and it took me awhile to get comfortable with the multitude of names and places. Actually, I had to listen to this book twice because I wasn’t really following it all due to my lack of background in all the specific names. It requires paying attention and following the tale. The narrator is excellent. I’ll not review it twice though – I’m not reading a new version like I feel I do when I listen and then read and listen. This book is not really about the latest in archeology and historiography so it’s not really for scholars who likely know the material. This is for the layman with only a wee bit of knowledge. But it’s not an overview of various theories, either (see 1491 by Charles C. Mann). It’s more of an introduction to the study but it includes the more important recent theories. thinking, discoveries and translations. What happened in 1177? 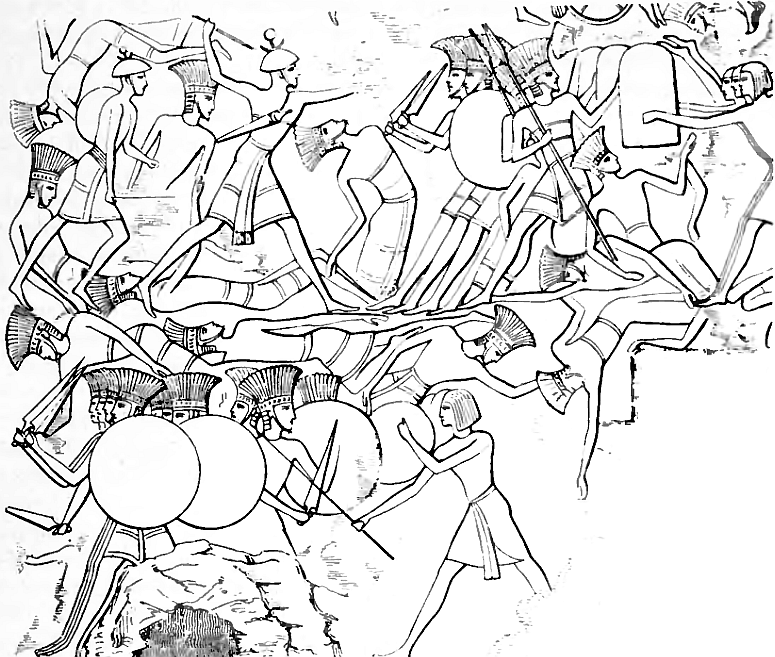 Egypt was attacked by the “Sea Peoples” and although Egypt did beat them back, the cost of victory was enormous. 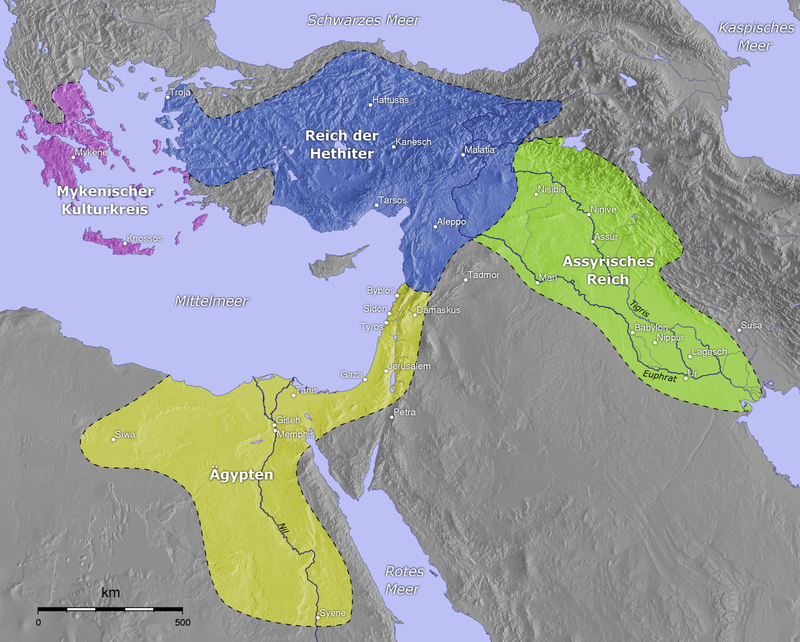 For decades later the civilizations associated by trade fell “like dominoes.” Minoans or Mycenaeans, Trojans, Hittites and Babylonians,, Canaanites, Assyrians, Cypriots, and even the Egyptian kingdom’s possessions north of the Sinai peninsula – all gone. 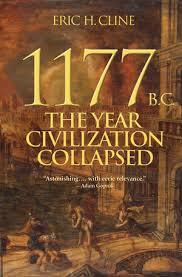 By 1177 Egypt and it’s citizens actually knew they had started on a downward spiral. The Bronze Age in the Mediterranean was over. And where there had been a strong and powerful alliance of civilizations for a couple thousand years – that all now came to a halt. This had been a globalized world system – at least trading and perhaps even dependent on each other. The parallels to today are apparent – switch oil for tin. Cline starts with the Prologue in 1177, but in Chapter 1 he goes back to the 15th century BC and from that point traces the end of the Mediterranean Bronze Age chapter by chapter, century by century. Then Cline addresses the aftermath showing how it impacted other civilizations as they sprang up. I had to Google for maps and places, names and events but that’s the price when you listen. This is a fascinating and well written mix of history and archeology – both elements are fascinating. I had to go back and reread some parts. 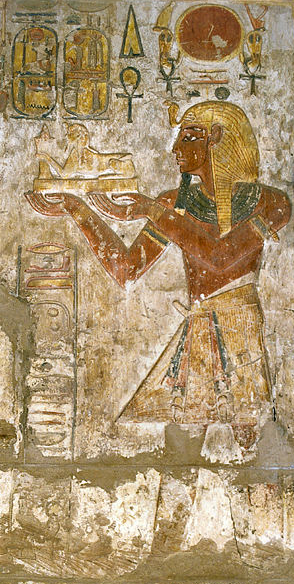 There are carved pictures on the wall of Medinet Habu,” the Mortuary Temple of Ramses III. The Old Testament comes up frequently. The book has been nominated for a 2014 Pulitzer Prize which will be announced on April 20, 2015. Bottom line? This is recommended if you’re interested in the subject and have a wee bit of background. Hey, Becky, I’m also listening to 1177 BC, and it’s fascinating. I guess you bought it in the recent Audible sale too. I’ve been wanting to know more about this time, this edge of pre-history. This book makes me want to read the others in the series as they come out, and I’d loved to see it as one of those PBS mini-series. I was thinking the same thing about the others in the series! And yes, I think this might make a really good documentary. Thank you for commenting! I corrected the Pulitzer error and now I’m looking forward to seeing the book win!